I tend to have a lot of stuff in my bag, but when summer comes I try to take a smaller bag with me when I go somewhere. Because otherwise I take to many things with me that I don’t really need. So here is what I take with me in my smaller bag. 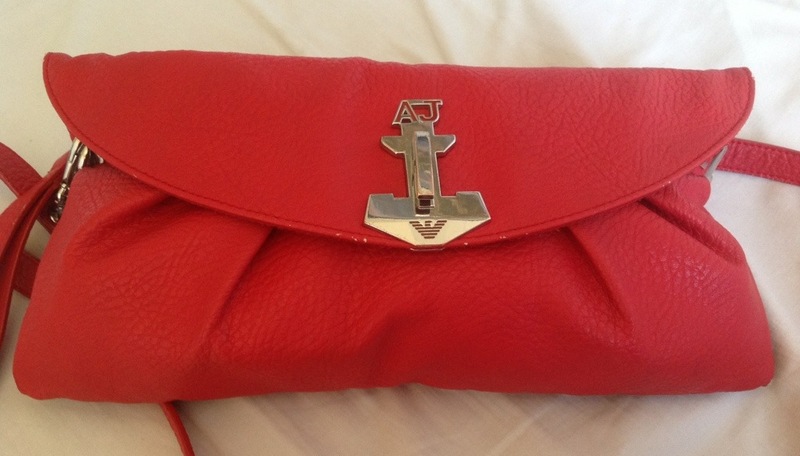 My bag is a “clutch”-type bag from Armani and it is bright red. I bought this beauty when I was in New York 3 years ago. The things I take with me are the things I use when i’m out. First of all I bring my wallet with me. My wallet is a small one from Michael Kors and it has a snake-skin print. Then I also bring my phone with me, at the moment it has a flower-case on it. I also bring chewing gum, mine is from Stimerol. It is the Stimerol Senses in sweet mint. The little blue thing poking out on the bottom are tissues. I also bring some deodorant, especially in the summer, cause no one wants to smell bad. Mine is from Rexona and it is a small edition so it’s easy to carry with you. I also bring my cover stick from Essence for when I need to do dome touch-ups. I also carry a lip product with me, mostly it are multiple items. Here in the picture I have my EOS lip balm in summer fruits and a lip balm from Eucerin. And then I also bring the lip color with me that I put on in the morning. I also have a little tube from Ici Paris in my bag. It’s a tube you can fill with your own perfume so you can take a small amount of your favorite perfume with you. I also have a hand sanitizer with some jojoba pearls with me cause I like to wash-up my hands once in a while. On the left there are some pills, they are Neurofen. I always take some with me for when I should get sick. And last I have my sunglasses. I put them in a grey hard case. And my sunglasses are from Dior. I think I still take a lot of things with me, but it is certainly less than I take with me in my bigger bag. What do you take with you in your bag? 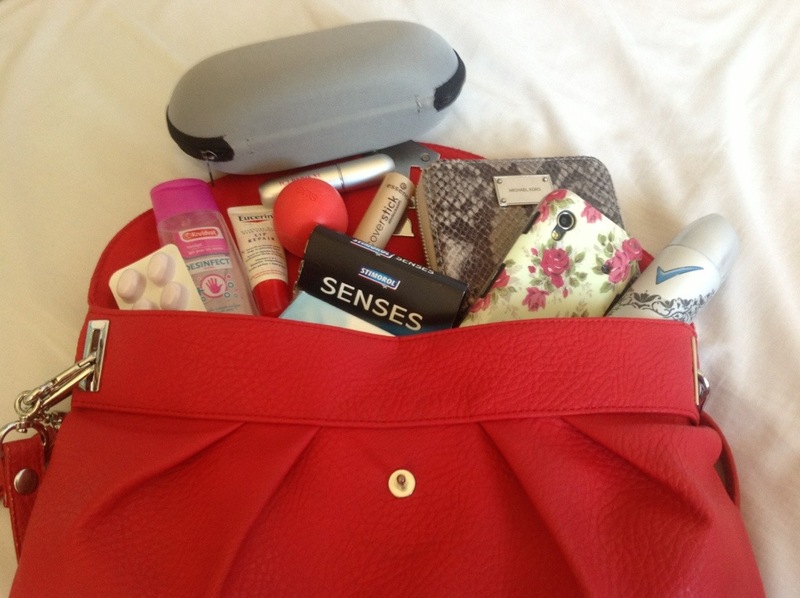 This entry was posted in beauty, fashion and tagged armani, small bag, What's in my bag by missnathaliexo. Bookmark the permalink.